Come out and support our school this Saturday, October 27th. 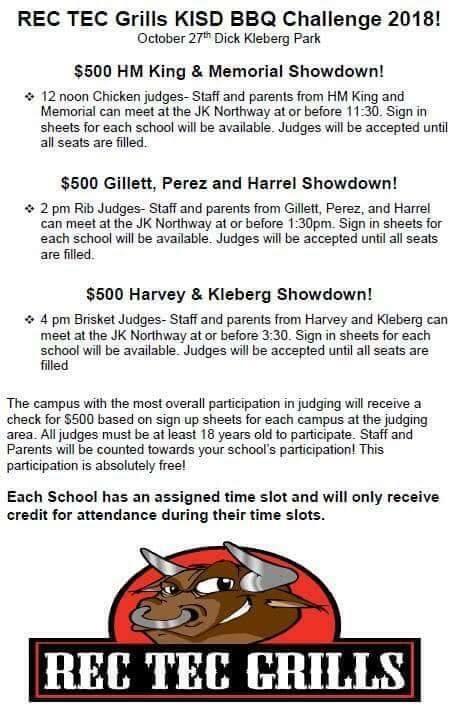 We need as many parents to come out and volunteer to be judge for this BBQ Challenge!!!! Make sure to be there by 11:30am and sign in for Memorial. Enjoy some delicious bbq and help win $500 for our school! !